The realisation that Beeching may have been somewhat myopic, and certainly a little hasty, with his seminal ' Reshaping of British Railways' report in 1963 has been a long time in coming. However, official opinion seems to be slowly turning in favour of re-investment in railways as a suitably economical and environmental alternative to road traffic for public transport. In light of this welcome move, the latest developments - whether work in progress or mere feasibility study (or in some cases rumour) - will be charted below as they appear in the local press. Please feel free to email me with any stories you have come across regarding railways in the Birmingham and West Midlands Area or your opinions on the stories featured here: I give mine so it seems fair to give yours too! The annual Warley National Model Railway Exhibition takes place at the NEC Birmingham over the 23rd/24th November and features a huge array of exhibitors, model manufacturers and all other manner of railway-related ephemera sellers and traders. For further details, please see the Warley Model Railway Club Exhibition website. Both publications provide a brief history of the respective city's railways and then move-on to a 'past and present' approach for a selection of each city's stations with numerous present-day photographs accompanied, mostly, by period photographs and postcards showing the stations covered in their heyday. 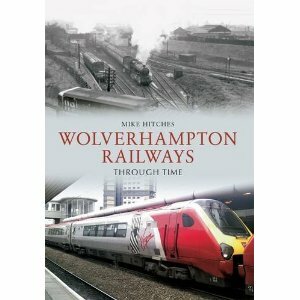 As I'm sure are most readers of RAB, I'm always on the lookout for new publications covering the railways of the West Midlands and these two new additions by prolific railway author Mike Hitches make welcome additions. 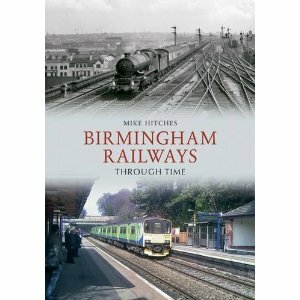 Both books can be purchased through the Rail Around Birmingham Bookstore or can be ordered directly from Amberley Publishing HERE. The annual exhibition from Warley Model Railway Club rolls-in to the NEC over the 19th/20th November and promises to be as good as ever with a huge array of exhibitors, model manufacturers and all other manner of railway-related ephemera sellers and traders. Saturday the 22nd and Sunday the 23rd of November see the Warley Model Railway Club hosting their annual exhibition at the Birmingham NEC. One of, if not 'the' largest model railway clubs in the UK, the exhibition is always a major event on the railway calendar featuring all matter modeling but a whole host besides and is a must for anyone interested in the UK's railways both past and present: my old mate Mark Norton is even launching 3 books on Birmingham railways there this year! For further details, please see the Warley Model Railway Club website. To commemorate the 45th anniversary of the Reshaping of British Railways, or Beeching Report, that largely decimated the country's branch lines, including stations and lines within the RAB region, the BBC is running a selection of programmes from their archives on Britain's railways. In addition, both the BBC Birmingham and BBC Black Country websites have information on the Beeching Axe and the region's railway history, including two articles written by me! Chasewater Railway have just released their Christmas 2008 timetable and are now taking bookings for their ever-popular 'Santa Specials' that run over the festive period and include a train ride and visit to Santa's Grotto (including a free gift for children and a drink and mice pie for adults). For further details, please see the Chasewater Railway website. This seminar provides railway engineering professionals with the opportunity to explore this important safety issue in greater depth. Providing a unique opportunity to bring the railway and user representative bodies together the seminar will provide a forum to understand the problems and explore how technology can be appropriately applied to mitigate the risks. "An international exhibition of documentary photography with a broad railway theme, combines vintage, iconic and contemporary images with a rare opportunity to explore Birmingham's historic Curzon Street Station, the oldest surviving railway terminus in the world. A landmark of British railway architecture, Curzon Street Station was designed in 1838 by Philip Hardwick to serve both the Grand Junction and London and Birmingham Railways. Built in the classical Ionic style, with a magnificent pillared frontage, it was the identical twin of the original station hall at Euston (demolished in 1962). In use as a passenger terminus for less than 20 years, it was relegated to a goods depot and finally closed in 1968. Employed as offices for a number of years, and narrowly escaping several proposals for demolition and redevelopment, the Grade I listed building has been empty since 2001. In 1968, following the tragic assassination of Robert F Kennedy, American photographer Paul Fusco boarded the funeral train which carried the Senator's coffin from New York to his final resting place in Washington DC. In what has since been described as "among the greatest and most singular projects of 20th century photo-journalism", he recorded the faces, the mood, of the thousands of mourners who waited by the tracks to pay their last respects. Drawn from Birmingham Central Library's vast Archive (awarded Designated Status in recognition of national and international importance), the collection includes atmospheric images dating from the early days of photography to the recent past, covering all aspects of railway life from steam engines to the interiors of luxury carriages made by Birmingham firm, Metropolitan Cammell. Commissioned for the exhibition, Birmingham-born photographer and former UCE student, Stephen Morgan documents the Severn Valley Railway. This new body of work captures the volunteers who help run and preserve this steam-hauled passenger railway line, as well as the visitors and enthusiasts who ride the vintage trains between Kidderminster in Worcestershire and Bridgnorth in Shropshire. 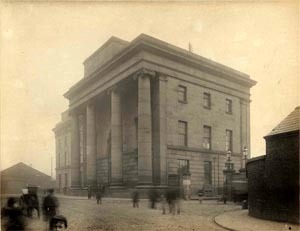 "Curzon Street Station is easily one of Birmingham's most precious architectural treasures," says Neville Topping of Elias Topping, the exhibition's organiser and sponsor. "Its location at the gateway to the emerging Learning & Technology Quarter presents the city with an ideal venue in which to display another of Birmingham's unique yet hidden cultural legacies - the photographic archives. For two weeks in September we want to encourage thousands of visitors to enjoy outstanding photography and architecture - and thereby reclaim their inheritance." The STATION project is the result of a unique partnership between Birmingham Central Library, the University of Central England and Birmingham-based developers Elias Topping and Viti. The exhibition is sponsored by Drivers Jonas among other Birmingham firms. Entry is free." The £500 redevelopment of New St, it is now proposed, will include two skyscrapers - one for residential purposes and one for offices (appears you can never have enough offices in the City Centre!) which fits-in with the ever-bewildering Birmingham City Council's wish to 'grow the skyline' of Birmingham. The delapidated Stephenson Tower, which presently hovers over the station will be demolished during the redevelopment. Construction could begin as 'early' as 2010 if planning permission is given, funding secured etc, etc . . . .
Network Rail has submitted a planning application to Birmingham City Council outlining their proposals for the redevelopment of New St station which will include trebling the size of the concourse, news lifts and escalators, a pedestrian 'street' and an atrium roof to 'flood the concourse with natural light'. Apparently the scheme is going to increase passenger capacity by 150% - however, I have still yet to see how this dramatic proposed increase in passenger numbers is going to be handled by the trains themselves considering the existing rail infrastructure around the site: and what of the Pallasades monstrosity above the majority of the platforms? It is all well and good having a 'naturally lit' concourse but it is the platforms that would benefit from some light and without the removal of the Pallasades above, I can't see that aspect, which is also one which significantly contributes to the abhorrent appearance of the station, being resolved. For more, well slightly more, information take a look HERE. - [added 27/09/06] Transport Minister, the anonymous Stephen Ladyman, has instructed the West Midlands that congestion charging is 'paying the price' for central government investment in the region's ailing rail network! It would appear that we must be made to pay for using our cars before we can receive investment to improve rail services - surely this is the wrong way around? Investment in the rail network would make rail travel a reasonable alternative to using road transport. For anyone who uses cross-city services at present, you will be familiar with sardine-like train journeys and standing on windswept platforms waiting for trains to come which, often following heavy delays at peak times, arrive packed to capacity and unable to take-on additional travellers. However, this problem seems to have been missed by Dr Ladyman who appears to be proposing to finaincially force people off the roads and onto a rail system that can ill-support its current passenger capacity BEFORE providing funds that will improve the region's rail network! Any comments? - [added 27/09/06] Tying-in nicely with the above story, government plans have been revealed to scrap services from Walsall to Wolverhampton and Stafford and divert the current Walsall-New St service into Birmingham Snow Hill. Interesting to see how congestion charging, urban renewal and environmental policy sits with the scrapping of rail services: seems the DfT are hoping to succeed where Dr Beeching failed by totally whiping Walsall off the rail map! - [added 27/09/06] Another of my pet hates at present is the outsourcing of British Industry to foreign countries. Imgaine my horror, therefore, when the following news filtered through to me. It appears that the new West Midlands franchise - to operate services currently run by Central Trains and Silverlink - has had the list of possible bidders shortlisted to three by the DoT: a company from China, one from Holland and once from the company behind Southern Trains who themselves is part owned by the French. The franchise will run from November 2007 until 2015. Of course, the proof is in the pudding and so long as there is significant investment in the region's railways then who am I to argue? The new franchise is certainly one to keep an eye on over the next couple of years. - [added 27/09/06] Whilst on the subject of investment, private sector investment in rail dipped from £3.79 billion in 2004-05 to £4.59 billion in 2005-06 whilst government investment in rail increased from £3.79 billion in 2004-05 to £4.59 billion in 2005-06! The Transport Salaried Staffs' Association has raised concerns over this apparent waning of private sector investment and have voiced concern over GNER's precarious predicament, due to financial difficulties encountered by its overseas parent company, as indicative of a potential decline in the rail network which must be resolved before it's too late. - [added 27/09/06] On a more local level, Chiltern Railways have conceded to reopen a disused entrance to Moor Street station following a persistent campaign by Transport 2000, Rail Future and Centro. However, Chiltern have voiced concerns regarding station security as a result of this move. On a personal note, as railway companies go, Chiltern must be commended for the efficiency of their service and for the considerable investment they have put into the sympathetic resotration/redevelopment of Moor St.
- [added 27/09/06] Birmingham City Council have responded to a DoT consultation on criteria for the new regional franchise by suggesting that the new operater must improve Sunday and late-evening services, operate longer trains and build longer platforms. Additionally, services between Birmingham and Birmingham International and Dorridge were identified as priorities. - [added 27/09/06] During the month of July, figures just released have shown 290 services were cancelled due to heat-related problems with Central Trains' punctuality record slumping to 77%! Warped/bent rails accounted for a significant proportion of delays despite 'significant' investment by Network Rail in track replacement in the previous couple of years. A spokesman for Network Rail stated: "While we do everything we can to prepare our tracks for summer, we can't completely combat the effects of extreme heat". Maybe worth a trip to Australia, the Middle East etc . . . I'm sure they have railways too and have been known to be a little hotter than the West Midlands from time to time. - [added 27/09/06] Sutton Coldfield Disabled Network have dscribed facilities at Sutton Coldfield station as 'woeful' with regard to disabled access to the site. Yvonne Moore of SCDN interestingly highlighted the fact that Centro hadn't applied for any of the government's new £370 million Access To All Fund for any station improvments across the West Midlands and that the deadline has now passed for applications to the Fund. Seems unusually myopic of Centro who have secured investment for disabled access improvements to many of the region's stations over the past 10-15 years. Taken a sabbatical on the 'News' page for a few months but will be back soon! - [added 10/03/06] Many readers have emailed me regarding this next story but I felt it necessary to state it here for those of you not aware. The only remaining original Kings Norton station building has been demolished as of 25/02/06 from what I can gather 'for safety reasons'. Whether the reasoning for the move is legitimate or not I am not qualified to debate however, it is a sad day to see part of the regions's railway heritage reduced to a pile of rubble. The building itself was deemed to be located in the wrong place when plans were drawn-up for the reopening of the Cross City (ex Birmingham West Suburban Line) during the early 1970s and thus was left to rot, be vandalised and suffer a serious arson attack (similar to the history of Sutton Park station building) some years back. I remember it as an unstaffed and rather desolate spot during my childhood when it was still in fairly good condition but during the 1980s-90s it deteriorated rapidly. During a short spell working at Kings Norton station I enquired of the line manager if there were any plans to reuse the building and we both agreed it was a shame to leave an historically important structure to crumble away. However, Network Rail took the decision and it is now no-more. I have added a couple of photos of the demolition to the page for Kings Norton station HERE. It is a pity that preservation orders, and public pressure to preserve, seldom seem to apply to railway buildings which are as significant, if not in many cases more so, to the history of Britain and its development than some of those structures for which such orders are secured. - [added 10/03/06] Just when things appeared to be stirring with regard to actually getting-on with the New Street redevelopment, it appears there are two Gateway proposals: an expensive one, and a very expensive one involving the demolition of the Pallasades Shopping Centre which hovers above the station site and is largely responsible for the dim lit cavern-feel at platform level. Surprisingly, the latter £800 million scheme has been shelved due to lack of funding and Birmingham Council are now looking at approving the £500 million 'Gateway 1' scheme in which the Pallasades stays put: hence, no glass roof, light and airy feel etc . . . What a farce - I can barely bring myself to comment on this issue any more, but will as things develop further! Also interesting to note the ever-changing cost figures for the revamp: a point noted by a Parliamentary inquiry earlier in the year. - [added 10/03/06] Central Train's 'Buy a Ticket - Don't be a Loser' campaign goes from strength to strength since its launch in March 2005 to combat the ever-increasing problem of fare-dodging on the region's rail network. In addition to proactively seeking and prosecuting fare-dodgers through a number of strategies, such as teams of RPIs (Revenue Protection Inspectors) swooping on trains and checking all tickets/passes, Central Trains also took the bold step of naming and shaming those convicted on posters displayed at stations - the Birmingham Mail has also got in on the act, publishing their names and street addresses. During January, 167 were caught and paid-out over £22,000 in fines costs and compensation with £261,577 collected so fair in total. Centro also operate a penalty fare scheme whereby if you are found to be travelling without a ticket within the Centro area you will have to pay a fixed fined of £20.00 - a recently doubled figure. Between these initiatives, fare-dodging has fallen from 6% to 3% in the West Midlands - however, this 'drop' figure is, of course, based on the amount of passengers inspected who didn't have the appropriate ticket - the 'actual' figure for those travelling without a ticket maybe considerably higher. - [added 10/03/06] A glimmer of hope in the seemingly never-ending New Street station redevelopment saga emerged with the unveiling of artists impressions of the 'Birmingham Gateway' £500 million pound rebuild. Network Rail and Birmingham City Council released full details on 16th February of a scheme that has been 18 months in planning stating work could commence (note the phrase 'could') in 2008 with completion by 2013. However, whilst they propose that the redevelopment would "greatly increase passenger capacity and relieve congestion", again they miss the fundamental flaw of train capacity at the site - shoe-horning more passengers into the site to use a train flow that is already at capacity seems rather pointless: no end of glass roofs and 'airy' concourses is going to solve much other than aesthetics. - [added 10/03/06] An interesting initiative - 'Adopt a Station' - has been launched by Central Trains to attract volunteers to become more involved with their local stations to help with publicity, passenger surveys, gardening and 'improving the station environment'. Cleaners and litter-pickers apply within - maybe if some of the larger stations had two staff per shift more time could be spent 'improving the station environment' and in addition, workers in stations would be safer and long rush-hour queues avoided: may involve spending a little money though so highly unlikely - probably demonstrates more business acumen to ask those who have enjoyed a 6.4% rise in ticket prices to come back and clean the railway as well! - Good news and bad in one stroke: a 7% rise in passenger numbers during 2005 (almost 30 million passengers journeys in total) on West Midlands trains, according to Centro, has coincided with the 'worst' services in the country prompting a Centro spokesman to chip-in "Imagine what would happen if the service was decent"! Quite, Central Trains has paid $47.5m in fines over the last 5 years - the most by any train operating company - for various failings in its service. Oh yes, whilst I remember, Central Trains fares rose by 6.4% during 2005 also. Whilst the reemergence of trains as THE transport, well public transport at any rate, of choice, it's a shame Central Trains (and I am aware it's not all down to them) can't get their act together and feel the need for significant ticket increases: and I won't even start on their plans mooted some time ago for significantly higher peak-time fares - encourage people off the roads by over-charging on appallingly over-crowded services . . . yes, that would work! Furthermore, what happened to plans for 9-car units operating on the Cross-City to 'ease' overcrowding on peak services along with the highly spurious argument that this should happen if major investment in platform extending were put in place! The platforms are long enough - you don't have enough trains and don't want to spend any money (franchise issue etc . . . ) - allegedly! - First Great Western have banned the use of cheap day tickets and one-day travel cards on its peak-time services. Mike Foster MP has condemned the move arguing that it will impact Midland's travellers going to London who are likely to use day-tickets whilst creating more room for commuters local to London who would use season tickets. The North/South divide argument, whilst possibly being of some merit, falls a little flat when considering other train operating companies operate similar restrictions but fair play to MP Foster for trying to ensure value priced services from Worcester to Paddington. - The Severn Valley Railway is going from strength to strength carrying 250,000 passengers during 2005. On the back of this success, they are planning the £4.5m construction of a visitors centre and engine shed. Apparently, the Railway's 3-minute appearance in Disney's 'The Chronicles of Narnia' has further boosted interest in the line. Some good new for once! - A Channel 4 research project has revealed that Birmingham New Street station has been voted one of the nation's most awful buildings and should be demolished along with the multi-storey car park on Livery Street which stands over Snow Hill station. Fair play to the chairman of the Birmingham Civic Society who said "I have nothing good at all to say about it" when asked for comment on New Street! - Network Rail, Walsall Council and the British Transport Police have joined forces to tackle the problem of rubbish being dumped on the railways. A maximum £20,000 fine be charged and tipping action could even result in a prison sentence. - Solihull and Leamington Rail Users Association have commended the long-overdue removal of the appalling canopies at the entrance to Snow Hill station but argue that a derelict shop is still spoiling the aesthetic of the area. Central Trains stated plans are afoot for further redevelopment. - Plans have been given the go-ahead for barriers to be erected on a narrow bridge over the Cross City line on Pritchatts Road, Edgbaston in Birmingham. A group called Rail Future has campaigned for barriers to be erected on rail bridges to prevent a reoccurrence of the incident on the West Coast main line where a Land Rover plummeted off a bridge and onto the track. Quite why this particular bridge has been singled-out is unclear but a local Councillor has helpfully pointed-out that "many drivers perhaps don't realise the potential dangers of veering off the road" . 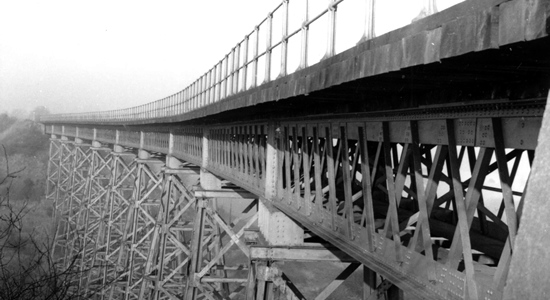 . . and down a 20 feet drop, through electrified cables and onto a busy railway line: WHAT? Whilst I agree that railway safety is of paramount concern, I fear someone's put something in the tea urn at Birmingham City Council (again)! - Stourbridge Line Users' Group have won Parliamentary backing for the reinstatement of direct services from Worcester to Birmingham New Street. - Birmingham City Council's penchant for profligacy with the public coffers in creating one development plan simultaneously with another that will negate the findings of the first, gathers apace! Whilst, as was mentioned below, the Transportation Department are studying proposals to reopen the Camp Hill line and its stations to passengers, the Council's Development Control Committee have agreed plans for a car showroom to be built on the site earmarked for Moseley station! A recent Council statement suggested they may negotiate with the soon-to-be site occupants, Bristol Street Motors, to see if they would kindly shift their proposed car showroom 12 feet to permit access to the station site! - The West Midlands Regional Logistics Study has mooted plans for new distribution depots most likely in the South Staffs/Warks area that would be extensively rail-connected and occupy up to 12 mile! Whilst the moving of goods to rail is a notion that should be applauded, the Campaign to Protect Rural England argue that green-field sites should not be used for such purposes: the jury is still out. - It appears that West Midlands Business Transport Group have called on references to a new station for Birmingham to be muted for fear that the Department for Transport may be 'distracted' from the £350m face lift for New Street by such proposals thus undermining the New Street project. They also argue that the New Street plan has provision for a new tunnel also! A new, possibly subterranean, station in the City! Whilst the problem of congestion needs urgent attention (particularly Proof House Junction which is still problematic and the restrictive size and layout of New Street) an air of caution over £1 billion tunnels etc . . . much less costly and similarly beneficial projects have been scuppered at the financing stage previously! However, the £350m face lift for New Street is still scheduled to take place which will aid accommodation of greater passenger numbers - quite how the train numbers themselves are going to be increased to deal with them remains to be seen. Furthermore, I seem to recall an article earlier in 2005 showing the 'visionary' plan for New Street's remodelling to include a 'ground-breaking/breathtaking' overall glass roof: what a creative genius the architect was (it was a rather sycophantic piece), or had he just looked at old postcards of New Street when it had an overall roof, including glass panels, prior to Mr Hitler's part in its downfall? - At long-last, Birmingham City Council's Transportation Dept have looked into the idea of reopening the Camp Hill line (from Kings Norton through Kings Heath and Moseley to the City) for passenger traffic and have proposed stations at Moseley, Kings Heath and Stirchley (not quite sure what they meant by Stirchley: perhaps the old Hazelwell station site?). Whilst this is welcome news, and something many have been calling for for many, many years (albeit that Lib Dem Councillor for Moseley, Martin Mullaney, is taking credit for this 'vision'), the £40-£50m required for a viaduct to take the line into Moor Street (as the concept is not only to reduce traffic congestion but also rail congestion at New St) may be a stumbling block!